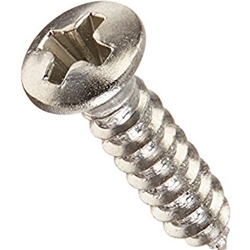 12 nickel-plated screws used for mounting Fender vintage-style bass tuners on American Vintage Basses. 6 X 1-1/8". Small round head.